Once a humble fishing village, San Antonio Ibiza is now one of the top European if not world holiday destinations that is suitable for everyone of all ages and nationalities. It is located in the south west of the island. 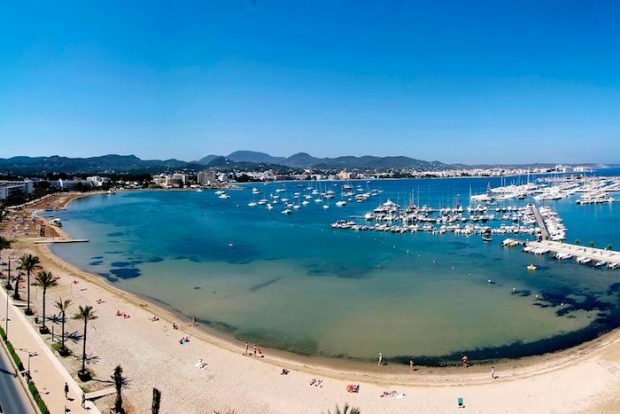 With one of Europe’s largest natural harbours at its heart the town is the perfect location for watersports, beaches, nightlife, restaurants a little shopping and also to explore the rest of the magical island of Ibiza. 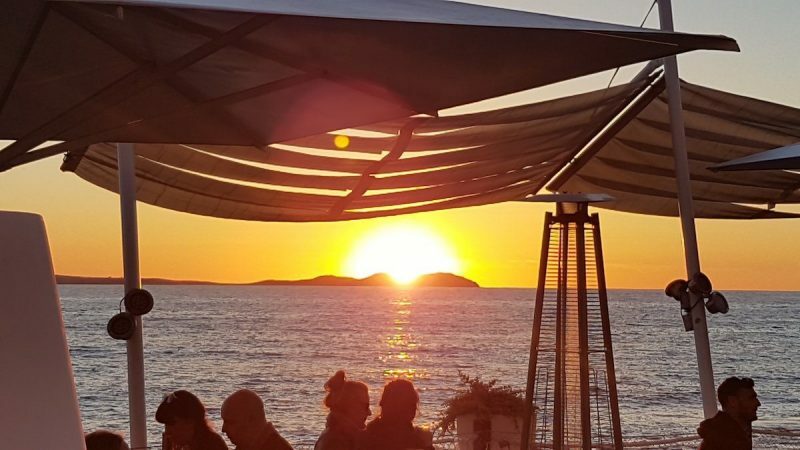 It’s ultimately famous for the Sunset Strip, a group of bars where thousands of people gather each evening to watch the sunset to the backdrop of world renowned DJ’s playing at Cafe Mambo and Cafe del Mar altogether its a truly magical experience. It is also located next to San Antonio Bay which is a collection of predominantly hotels and apartments with their own bars and beaches and is only a short ferry ride away from the main town of San Antonio. The town has several of its own beaches the main one being S’arenal which sits beside the harbour made up of soft sand and shallow water. There are a great range of eateries and bars along its length from Ibiza Rocks Bar to Surf Lounge complete with its own artificial surf wave. At one end of the promenade is Calo des Moro a small but beautiful beach with clear waters and beautiful views out across the Mediterranean sea whilst at the other end is Es Puet a great beach for watersports or for just sunbathing and relaxing. The main harbour is home to many a yacht and sailing vessel and from here you can grab a water taxi to even more of the island’s beaches, notably Cala Bassa, Cala Saladeta and Cala Conta. 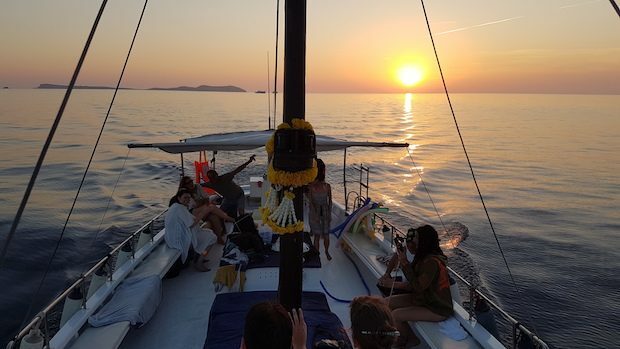 This is also where you can take other boat trips such as the relaxed Chilli Pepper Charters or trips to the magical island of Es Vedra, or take a day excursion to Formentera or the hippy market. You can also find a lot of water sports to do from Twisterjet a high speed rollercoaster on water, parasailing where you float up in the air behind a speedboat providing magnificent views, Ocean Mania a bouncy watery obstacle course to diving, paddle boarding, jetskis and rental and charter boats so you can take yourself off to where you so wish. Taking a few steps inland passing the famous Egg statue there is the beautiful open area called Passage des Font with fountains where events and fiestas are held throughout the year. The area is adorned by many restaurants with large outdoor seating areas. The town runs away from this area through narrow streets where you will find the 14th century Fortified Church of San Antonio with the surrounding streets full of shops, small cafes and bars. This is also where you will find the West End a collection of bars and mini clubs which comes alive at night with people enjoying themselves. Primarily an early 20’s something paradise it’s a great place to sit out and people watch. Moving back through the town it is a mix of residential, long term worker apartments and hotels of all shapes sizes and standards. 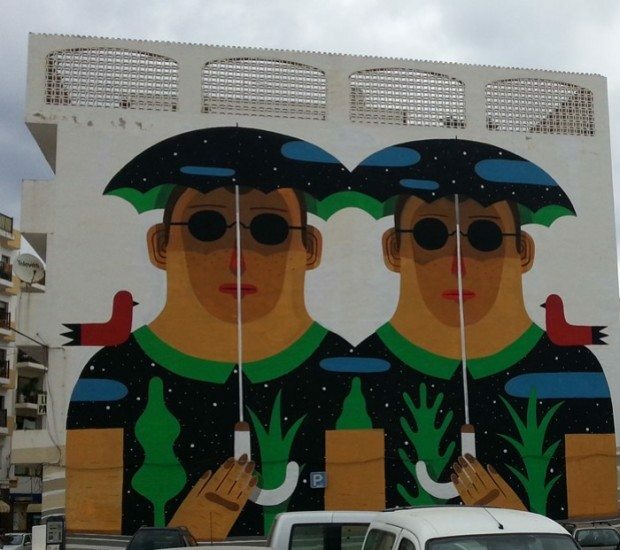 Also looking around you will see large artwork adorning the sides of the buildings. These make up the open air gallery with new ones being added each year creating a colourful discussion point as you pass by. Some say San Antonio lacks culture, however we do not agree and you can check out our cultured walk here which takes you past many great cultural sights of the town. 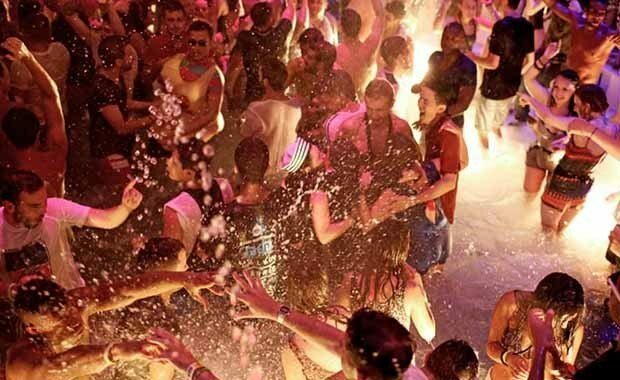 Possibly what San Antonio is known for is its nightlife with two Super Clubs Es Paradis and Eden where top DJ’s perform nightly as well as host unique parties like the Fiesta del Aqua where it rains and the club turns into a swimming pool. Other famous clubs Amnesia, Privilege and those at Playad’en Bossa are serviced by a fantastic nightly bus service called the Disco Bus which runs from the bus station and is the perfect way to get to the out of town clubs. Daytime clubbing is also provided by O Beach situated along the promenade. 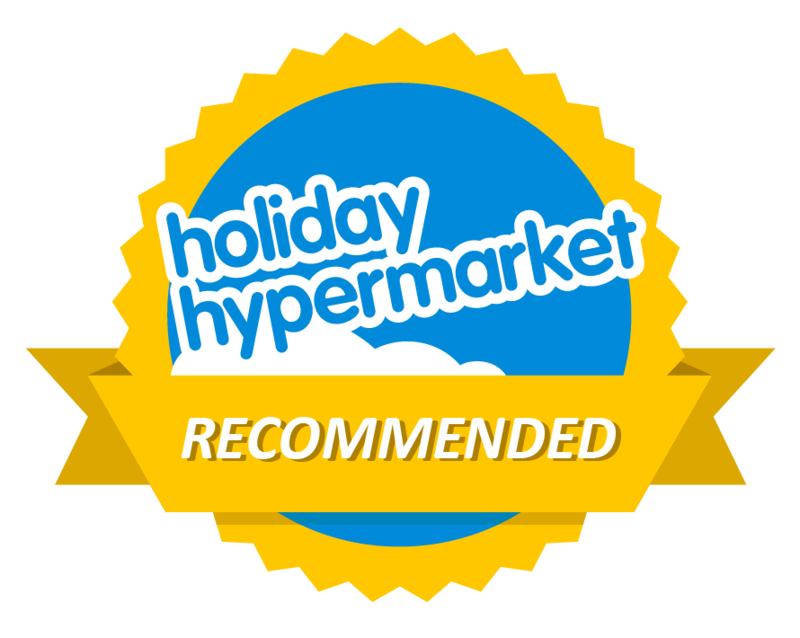 They host extravagant poolside parties with aerial acrobats and top flight DJ’s entertaining the crowds from mid afternoon until late evening. Or in the center of town, you can find the home of the daytime pool party at Ibiza Rocks Hotel which has seen the likes of Craig David, Rudimental and Stormzy perform on their stage over the years. 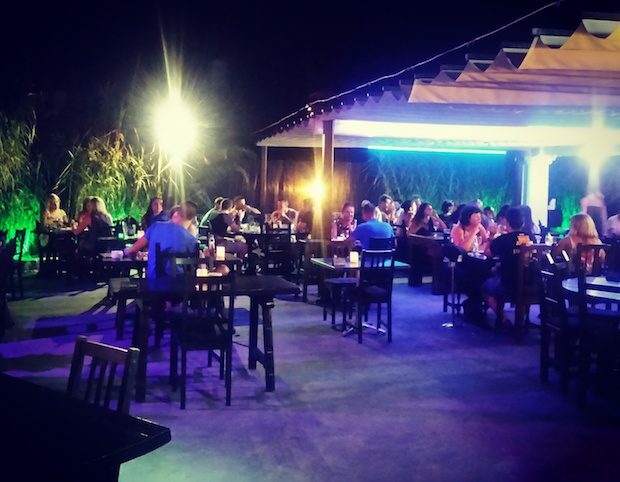 In addition to which many of the bars around the town host regular live music nights. 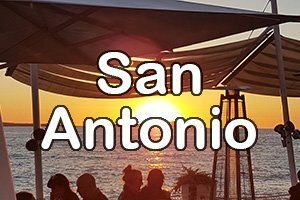 The West End is a couple of streets filled with lively bars and mini clubs that comes alive late evening into the early hours and is the only place in San Antonio we would not recommend taking children. San Antonio is home to a vast array of restaurants catering for all tastes notably Tapas Ibiza located away from the beachfront in a very quiet area of the town to Ritas Cantina a favourite with the locals to more healthy dining offer by the Skinny Kitchen infact you will be able to eat at a different restaurant night after night the town is host to all flavours and cuisine options. 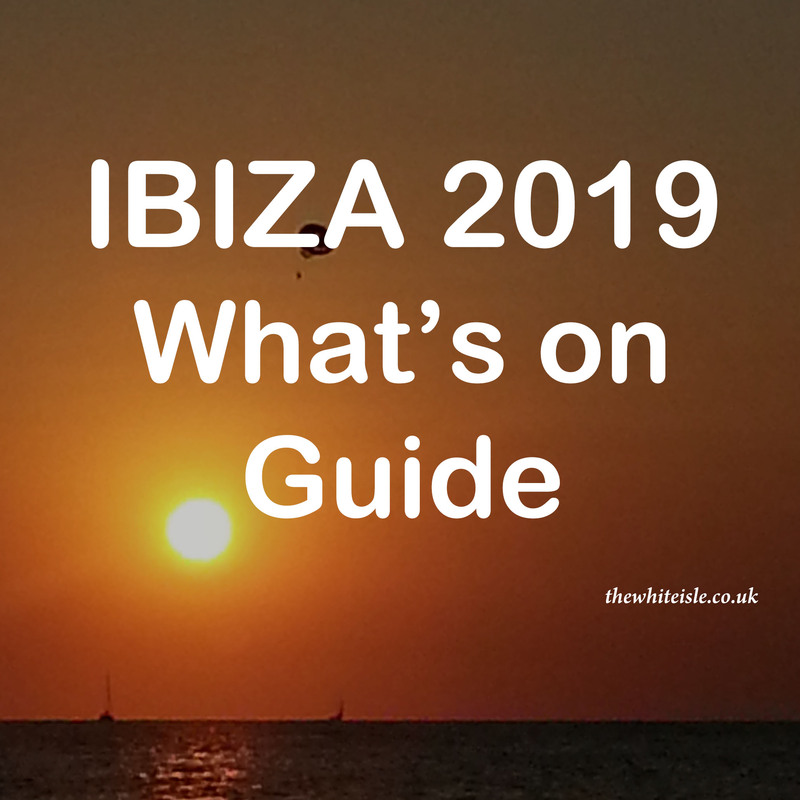 Further on beside the ferry boats, you will find snack bars such as Palapa and along by the main beach Ibiza Rocks Bar which offers great value food including their famous chicken pitta’s the choices go on and on. San Antonio is perfectly placed to explore the island, be it by water taxi or by the bus service which is second to none and is only 30 mins from Ibiza Town and offers routes across the island. There is also an abundance of taxis available if you are staying out of town or wish to visit other areas. 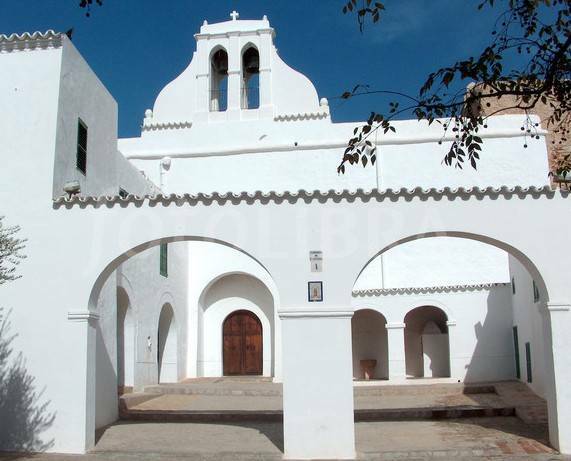 You can take tours from San Antonio exploring the rural Ibiza be it by tourist train, bike, 4×4, quad biking, walking or around the coast by kayak or on paddle boards. You can find every type of accommodation in and around San Antonio from luxury villas on the outskirts of the town to cheaper hostels and everything in between. Our personal favourite place to stay is the Hostel Marino which sits towards the back of the town but is only 10 mins from everything (beaches, sunset strip, waterfront, bus station).